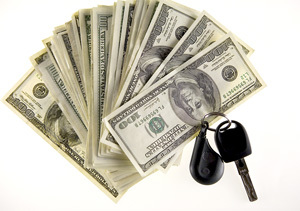 Get cash for your car in California today! Sell your car today and get immediate payment when we pick up your car. We purchase cars in every city in California, sell your car in California now. Quick – Only takes 3 easy steps to get cash for cars in California. Top Dollar – Due to our massive network of buyers/auction houses throughout the U.S.A, National Cash 4 Cars is able to offer you the highest price for your car in California. Free Pick-up – Our drivers are able to come to all cities in California to pick up your vehicle, and give you your money on the spot. Convenient – We serve every single city in CA. Cash for Cars in California today! Courteous – National Cash 4 Cars works with its customers in CA to ensure the smoothest selling experience, and strongly values the lifetime partnership with our California customers. No Stress – National Cash 4 Cars buys any make or model, running or not. We buy used vehicles in all types of conditions. Get top dollar in California today! Expertise – Over 50 years of automotive experience, we are standing by to purchase your car in California today! Many people do not realize how easy it is to make money off of a junk car. The fact is that no matter how badly messed up a car is, it can still be sold. There are in fact several ways in which one can sell a junk car, but the easiest method is to sell the car to a cash for cars company. Finding a cash for cars California company is not difficult and most of these companies will even tow the car from the house without charging the seller a cent. Those who are looking for a good company of this nature will find that National Cash 4 Cars usually offers better prices than other companies. The reason for this is that National Cash 4 Cars is a national company and has hundreds of buyers in any given state. For this reason, the company can usually offer to pay more than local companies can. Furthermore, National Cash 4 Cars will fill out all the paperwork related to the sale of the car. Junk yards are also willing to buy junk vehicles. However, one would have to pay to have the vehicle towed to the junk yard. Furthermore, the price offer for a vehicle depends on the weight of the metal. Light weight cars will not fetch much money although a junk truck or minivan may fetch a decent price. It is also possible to have the car taken apart and sell the parts. Many second hand auto parts shops are happy to buy parts of the car that are in good condition. In fact, a person can often make more money off of selling individual parts than he or she could by selling the entire vehicle. The only downside to selling a junk car in this way is that it can be time consuming. Yet another option would be to donate a junk vehicle to charity. Naturally, one will not make money off of a vehicle that is given away to a registered non-profit organization. However, one can write the vehicle off of his or her taxes if the charity is registered and can provide an official receipt. Those who do not have proper papers for the vehicle may find that this is the best way to dispose of a wrecked vehicle, as there are charities that will accept junk vehicles without a title. How Much Will One be Offered for a Junk Vehicle? When selling a vehicle to a cash for cars company, one will need to provide a detailed description of the vehicle. The condition of the engine and car body will determine how much money one will make from the vehicle. Other factors that determine the value of a vehicle include the mileage, make, model and type of vehicle in question. In most cases, it is not worthwhile to make any repairs on a junk vehicle. However, there may be some instances when doing so can be worth it. One may want to consult a mechanic before selling the vehicle to see if small repairs may be worthwhile. A person who has a junk vehicle should never let it sit in the garage. Cash for cars companies are more than willing to take such a vehicle off of a person's hands; furthermore, there are several other ways in which one can dispose of a junk vehicle and still make some money off of it. A person who has a junk vehicle that he or she is unable to sell should consider the options and see which one is most suitable.